My encounter with YTB goes back to 2000 when an MR of a pharmaceutical company referred them to me. I have used their services 19 times since then, including once through my colleague on my recommendation. Of the 19 manuscripts, 18 (one divided into two reports) have been published in top journals in sports medicine (three as digital publications), one is in the revision process, and only one did not get accepted. I asked for the manuscript checking service (not the more extensive editing service) for all the above, yet where other companies' equivalent services are only minimal checks resulting in just changing “a” to “the”, Dr. McQuire's checks were thorough and meticulously polished up the manuscript to the extent none of my original English remained. I still remember being stunned by the number of corrections when I had my paper checked for the first time. It has been 18 years since then; I am still amazed when I see the completed manuscripts. My field is orthopedic surgery and I believe this is not Dr. McQuire’s main expertise, but his understanding of the content is always accurate and there are no discrepancies with what I intended to write. I feel I can count on his services. I lost confidence in my oral presentation skills at overseas conferences after seeing the significant difference between my English and Dr. McQuire’s but will keep doing my best writing English manuscripts. Eighteen years have passed since I first used YTB, meaning both Dr. McQuire and I have grown 18 years older, but I hope we keep working together for a long time yet. YTB is my go-to partner when I need to have an English manuscript checked. Their email response is quick and the lead time short. I have so far used YTB for three papers, and all were successfully accepted by the submitted journals. I am satisfied and will definitely be requesting YTB’s services again. When I asked medical writers at pharmaceutical companies for a company to use for manuscript editing ten years ago, they recommended Yamada Translation Bureau for its distinctive quality. More than 50 times for English checking and translation. Dr. McQuire consistently improves the readability and clarity of the text without exception. I have submitted manuscripts to journals over 40 times, and no reviewer has ever pointed out any problems with the quality of English. YTB’s price is not low but is reasonable, considering that I can get the help of a medical editor with a vast amount of medical writing experience. Dr. McQuire’s reputation is well-established among my colleagues in the same laboratory, and I plan on using YTB’s services for a long time. My impression in the 8 years I have used Yamada Translation Bureau, Inc. is that they invariably provide in-depth corrections for the clumsy English text I send, with prompt delivery of services. Even for extremely urgent revisions, they go the extra mile, responding swiftly and accurately at all times—the epitome of a ‘considerate English checking service’, you could say. It is also thanks to Yamada that an increasing number of my recent submissions are being accepted successfully by Western journals. Yamada’s services are exemplary, and I am confident I will continue requesting their invaluable guidance. To date, I requested the ‘English manuscript editing’ service for three English papers and noticed how Yamada’s quality outperforms other companies. Beyond checking grammar, they suggested additions, amendments, and more appealing expressions; they also responded promptly to any repeated proofreading requests. I felt that YTB guides the author in the best way so submissions get accepted. I used to think the service was a bit expensive, but given what I received for the price, I’d now call it a bargain. It has been ten years since I started using Yamada’s services due to a referral from a doctor colleague. All manuscripts I asked for checking or translation have gotten accepted by journals, for which I am very grateful. It is not only their initial checking of the document that is invaluable, but also their kind and comprehensive help for any recurring work following the reviewers’ comments, such as revising or reviewing, or writing responses to reviewers. I am sure that I will use their services again. I have never been proud of my English, but I use YTB's manuscript checking instead of translation so that I can improve my linguistic skills. The joy of getting my paper accepted by a journal with your help has left a strong impression, and I use your service as if I am taking an e-learning course. Your continued support in this regard is much appreciated. Our company usually requests orders with short timelines, so we appreciate how Yamada Translation Bureau always delivers on time with a fast turnaround. They can handle multiple languages including French, Spanish, Polish, Thai, and Chinese, which is a great help for us. We look forward to using their services again. Over the past ten years, we have continuously requested the translation of manuals for machinery equipment. Even when the contents require special expertise, YTB always assigns the appropriate translator and we completely trust their services. 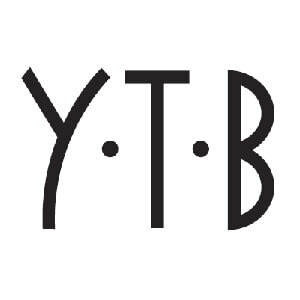 We will keep working with YTB. Thank you for always handling our sudden or urgent orders. Our requests often contain specialized vocabulary, but the delivered translations are always of high quality. YTB is extremely reliable. Our requests for quotes and translation projects are always handled efficiently, and we appreciate their prompt services. The staff at Yamada Translation Bureau are very flexible, and they can always find the best solution for handling urgent orders as well as changes and additions to the original files. Their responses for any added requests are always very speedy, and we have come to rely on their services. ​Thank you for always accepting our complicated requests. The translation and editing results are great, but I was even more impressed with the prompt and accurate responses from the coordinator! Our company often asks for a short return time, and revisions are sometimes made to the original file after submitting the order. But each time, YTB graciously accommodates our requests. Thank you so much! When I have a question about the delivered data, I always receive a quick response, and the explanation from the translator is in detail and easy to understand. I mainly request English translations of Japanese documents, but their services are fast and courteous for other Asian language translations as well. In addition, I sometimes even receive comments (rewriting) from YTB on areas that had been previously translated and are outside the scope of their order. When drafting a revision of a catalogue, etc., YTB is very trustworthy. I look forward to continue working with them.